With all eyes peeled upon the continent for the return of club football's finest, a select few would make their mark. Even if rain did cause some disruption on the opening night of the Champions League, the show would be stolen by a devastating Barcelona romp and a flawless Bayern obliteration. The heavyweights came out in full force to show that they weren't letting up their grip on the top prize just yet. Torrential rain in north west England lead to the postponement of Manchester City's fixture against Borussia Mönchengladbach, with a water-logged pitch forcing off the encounter following a nervous wait some moments before the scheduled start time. That reduced the opening slate of games to seven, but it far from appeared to be a depleted lineup of entertainment. Along with Barcelona and Bayern beatdowns came a host of terrific goals, from a loaned player snatching a last-gasp draw against his parent club, a stunner from Saúl and much more. Here, we round up the action from the opening night. Barcelona dismantled Celtic with a seven-goal thumping at the Camp Nou as Neymar dished out 4 assists and scored once while Messi's hat-trick and Suarez's brace added to the monstrous total. Lionel Messi needed just 3 minutes to open his account for the campaign as the Argentine lost his marker to get on the end of Neymar's pass, sweeping home comfortably. However, there could have been an early spanner in the works for Luis Enrique's men, who watched on with bated breath after the Scots were awarded a penalty midway through the half. Marc-André ter Stegen rectified the error which produced the chance in the first place by stopping Moussa Dembélé's effort. Right on cue and needing no second invitation, Lionel Messi continued his prolific scoring form against Celtic by doubling his and Barcelona's tally. Once again the Olympic gold medallist Neymar was at the helm of the creative process, setting him up for a low shot into the bottom corner. After half-time, provider would turn scorer as the Brazilian nailed a free-kick over the wall with the keeper unable to get enough on it to thwart the shot. 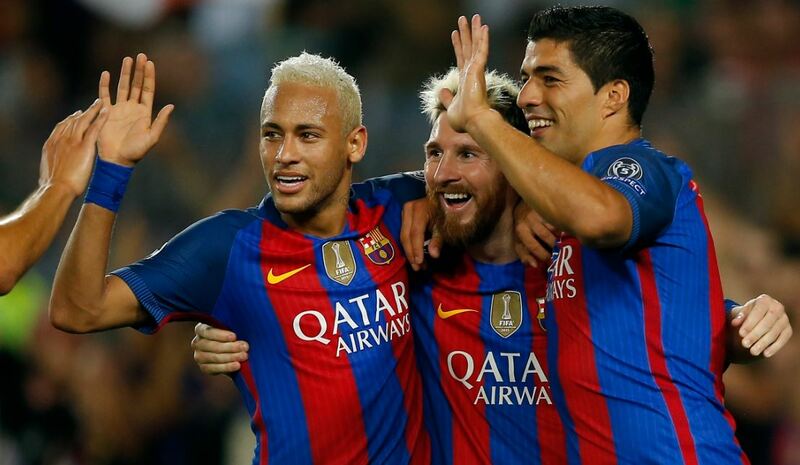 With the work all done, Andrés Iniesta joined the party when he scored from the bench in the 59th minute. 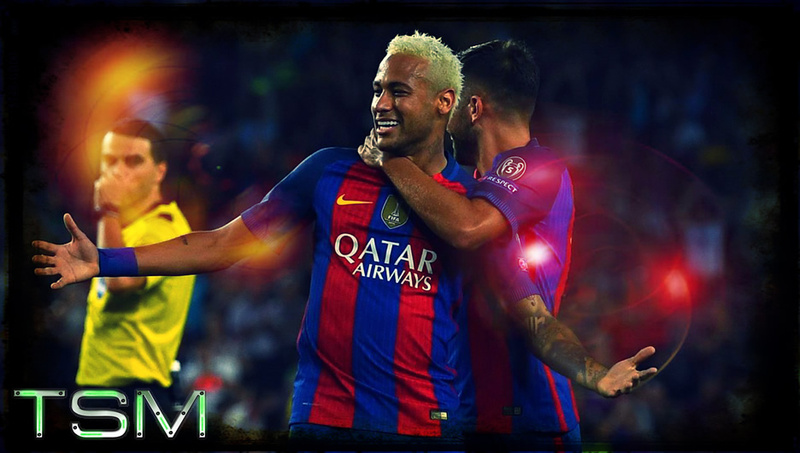 A darting run by Neymar, once again pulling the strings, was capped off with a cross towards the box in which the Spaniard volleyed home to make it four. But the horror show would roll on for Brendan Rodgers, as his former player Luis Suárez set up Messi to complete the hat-trick. Some more extra-curricular activity would see Barça's striker finally get one on his tally, with possibly the pick of the bunch. Neymar found him with an exquisite pass, before the former Liverpool player chested it and pivoted to smash a volley into the roof of the net. The Scottish contingent were down and out, and that set up for Suarez to bag another, and final seventh goal - netting from close range as Barcelona kicked off their campaign in devastating style. 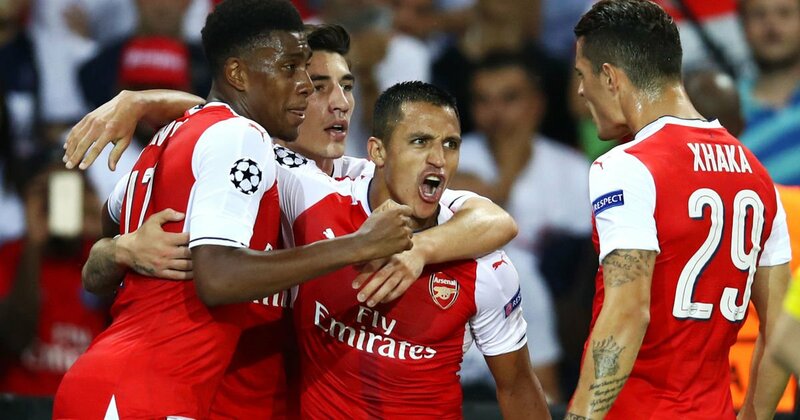 Alexis Sanchez salvaged a draw for Arsenal as they would come to punish a wasteful Paris Saint-Germain with a late equaliser at the Parc des Princes. 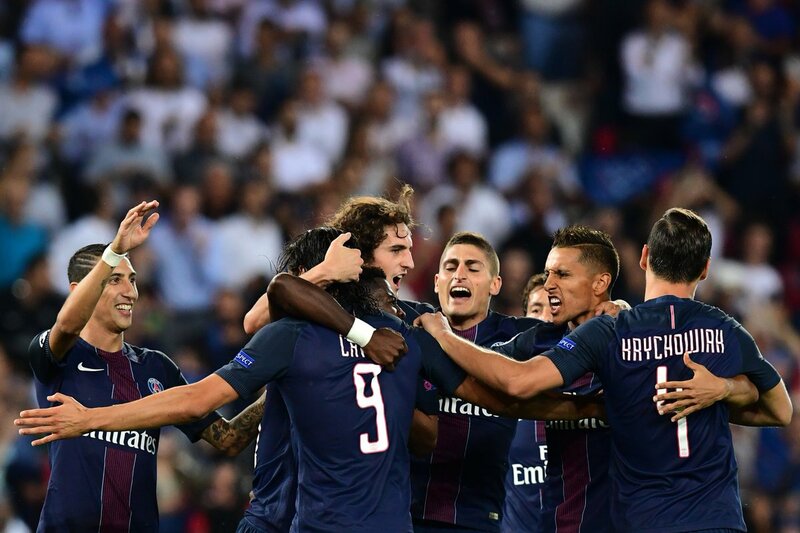 Disaster appeared to be on the cards right from the off after Edinson Cavani put the hosts in front after just 42 seconds. Serge Aurier was the architect when he raced down the wing and delivered a cross towards the target man, who glanced a header into the far bottom corner. As things would turn out though, Cavani couldn't keep that form up. That handed the visitors a sigh or relief as the Uruguayan missed an open goal among other opportunities at the top of a spell dominated by Paris. They continued to create the chances, but with the time quickly winding down, the lead remained slender. Arsene Wenger put all his cards on the table in a last-ditch effort, and it would work. With the North Londoners now looking to salvage a point, some chaos in the box saw Iwobi's shot saved, falling out to Alexis Sanchez who rifled home and made things all square in the capital. While PSG looked to turn the heat up late on, a double red card would be handed out after second bookings for Verratti and Giroud springing from one event. The controversial decision was met with criticism, but it wouldn't sway the eventual outcome of the game, finishing 1-1. 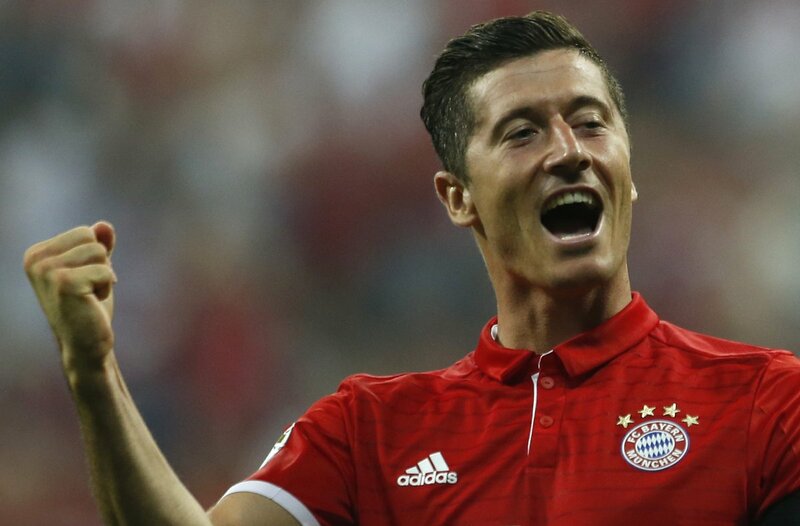 Bayern Munich welcomed FC Rostov to the Champions League with a five-goal battering at the Allianz Arena, as Kimmich starred with a duo while Lewandowski scored a penalty and Müller celebrated his birthday with a goal in Germany. Following a deadlock spanning almost half an hour, it of course would be none other than Robert Lewandowski who unlocked the floodgates from the penalty spot. With the keeper diving the other way, he made the task look simple and set the tone for the remainder of the evening. Late in the first half, Thomas Müller bagged himself a birthday goal as the German saw off a defender to smash home Alaba's cross and double the tally at the interval. His compatriot Kimmich would make it three and then four not too deep into the second half, with two clinical finishes as Bayern made Rostov a part of yet another Champions League bludgeoning. Finishing off the Russians with a last-gasp goal was Juan Bernat, the recipient of Ribéry's cross and concluding a five-star performance from the Bundesliga kings. Saúl Ñíguez's stunning volley was the difference as Atlético Madrid got their bid for European supremacy rolling with a typical triumph in the Netherlands. PSV did well to keep the Spaniards on the outside throughout a big portion of the first-half, before it would take a spectacular piece of magic to finally untie them. Saúl Ñíguez's first effort was blocked, but when it came bouncing back into his path, he let fly with a superb volley into the top corner in what would make the pivotal difference. However, the Eredivisie side had some reason to feel hard done by, after they netted in the early minutes in a disallowed goal due to what seemed like a very feint push. What followed similarly was a penalty later in the half conceded by Giménez, another light call - one which Oblak sprung into action to deny Guardado of netting the equaliser. Jan Oblak had a stellar performance in between the sticks as Eindhoven attempted to reverse the feat deep into the game, but with Griezmann continuing to probe, Atletico made a silent but trademark start to the campaign - they got the job done. Basel 1-1 Ludogorets: Basel endured a frustrating night in front of their home crowd as they were forced to a draw against Ludogorets. The Bulgarian side opened the scoring through Jonathan Cafú, who got on the end of Marcelinho's pass to guide it away from the keeper's reach. Renato Steffen spared some of his side's blushes as he scored an open goal 10 minutes from time, but that was all there was - as things finished at a goal apiece. 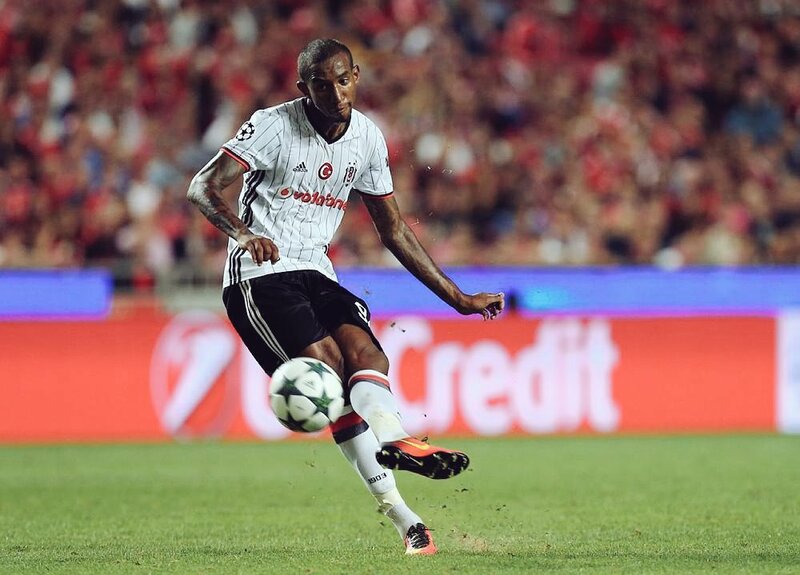 Benfica 1-1 Beşiktaş: Beşiktaş snapped their losing streak with a last-gasp free-kick from Talisca, on loan from Benfica, as they played to a thrilling draw. Franco Cervi got the goalscoring under way, getting on the end of a parried shot to sweep home. Just as it appeared that the hosts were zeroing in on the victory, Talisca flipped the script with a sensational free-kick in stoppage time against his parent club. Dynamo Kyiv 1-2 Napoli: Arkadiusz Milik's two headers in the first half helped Napoli overcome Garmash's opener to make a winning start to life in group B. They overcame late bids from the Ukranians to nab the point as the Pole made his mark. 4 assists and a goal mark an extraordinary night for Barcelona's star, as he pulls the strings and leads the trio in the devastating defeat of Celtic. His lone goal was a fine one too, curling a free-kick into the top corner, while he continued to create throughout. Just a marvellous performance by the Brazilian. It just flew off his boot. A stunning goal as part of Barcelona's rout, with the midfielder coming off the bench to connect perfectly - most others would send that into row Z. Seven games with 22 goals is the perfect way to get this tournament up off the ground. 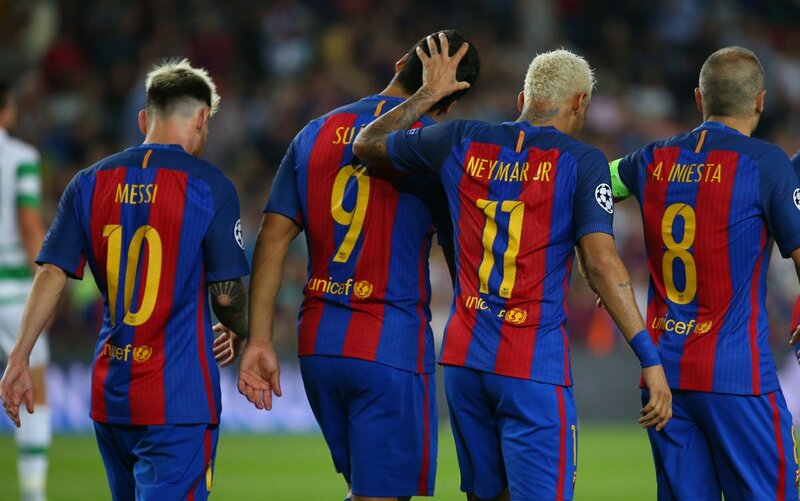 Everyone will be waxing lyrically about the great Barcelona, who have certainly raced ahead of the pack with their thumping of Celtic. Continuing the analogy however, they will be looking in the rear-view mirror, with Bayern ready to pounce as they too dispatched their opponents with a blistering performance. Arsenal's persistence paid off against Paris Saint-Germain, while Talisca put his faith to one side when he nailed a stoppage time free-kick to draw against his parent club. 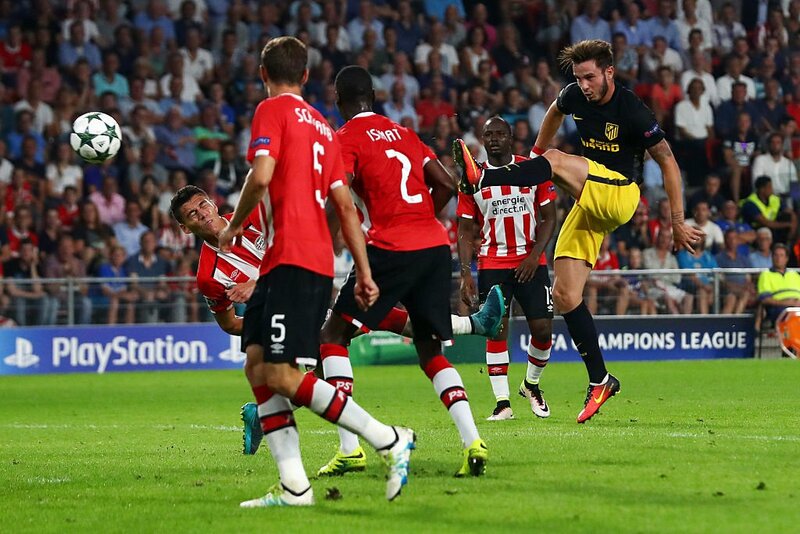 Saúl Ñíguez was the star on a night full of stars with a stunner for Atletico, here's to even more great football.